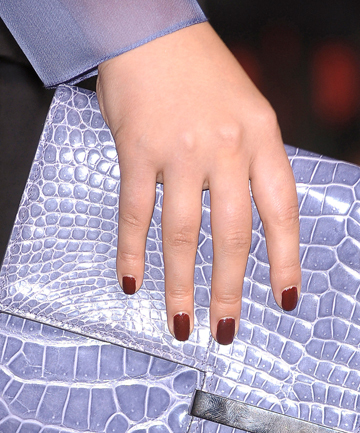 A manicure that won't chip for over three weeks? Yes, please. For as long as I can remember, I’ve had a distinct love for nail polish. I remember walking through drugstore beauty aisles in middle school completely enamored by display cases filled with rows of tiny, colorful bottles. I’d examine them all, pick up the colors that “spoke” to me, read their clever names and often walk out of the store with at least one new prize in my possession. A decent chunk of my allowance went toward nail polish and I eventually amassed an impressive collection. Little has changed since then. My collection is just as vast — if not more so — than it was back then and visits to the nail salon are religiously penciled into my schedule. For so long, I held on to the “traditional” nail polish option. No gel, no dip, none of this fancy stuff. But three months ago on an atypically rainy day in Phoenix while indulging in a pedicure, my nail artist talked me into a “gel hybrid” manicure. She promised it would last longer (at least three weeks), that it would make my nails stronger and that it would actually save me time and money in the long run. I was reluctant, but I went for it and am forever changed. SEE NEXT PAGE: What Is a Gel Hybrid Manicure?